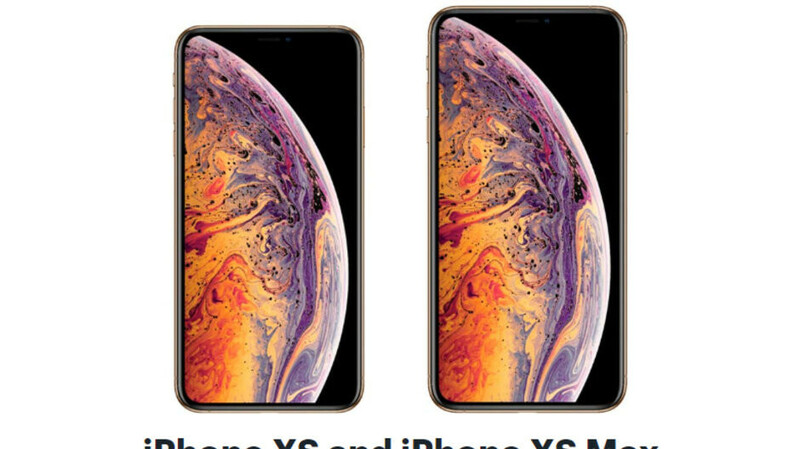 If you need to buy an Apple iPhone XS, iPhone XS Max, or iPhone XR on Verizon or Sprint, Best Buy has a deal that you should know of. The retailer lets you save up to $150 on these new Apple smartphones as long as you're buying them on qualifying plans with long-term agreements. Saving won't be instant, instead being reflected in reduced monthly payments over the life of the device - 24 months on either Verizon or Sprint. Interestingly, this new Best Buy deal is valid only for Verizon and Sprint customers who want to upgrade an existing line, so new lines do not qualify (more often than not, these types of deals are available for new lines only). Best Buy does not say for how long these deals will be available. Usually, though, the retailer keeps promo offers like these valid for at least a few days. Sell it?! You got it. If you having issues with connectivity, do a network settings reset. If that doesn't correct it, back it up, set the device up as new and then see if you have the same issue. Then if you dont, then restore your backup and see of the problem returns. The biggest issue I've had with connectivity, is restoring a backup to a new device. Usually, resetting the network connections, solves the issue. But when it didn't, I would set up device as new and try it again. But since you just got the device, make your carrier replace it. They have too. Google iPhone intel modem issues. Some carriers are giving you $150 gift cards and a reduced iPhone price. If they are selling so we'll. Then why all the reduced prices. But putting that aside, if Apple and some carriers are really reducing the price of these new iPhones, then it should tell everyone how overpriced every iPhone really is. I don't understand why he doesn't just go on ahead and sell it if it bothers him that much. It's not like there isn't a demand for it because somebody will buy it. The way he said it makes it look like he's trying to start something. And before he or anyone says, I don't care about the new iphone Xs. I'm pretty sure several of my comments saying why are floating around but one of the biggest is the lack of TouchID. I'll pass. If I wanted to give Apple another shot, the X would not be the phone to do so. I rather stick to the 8 Plus because it is still cutting edge right now. no thanks they're still overpriced !